Founder and senior partner Leonard A. Bellavia understands the issues and challenges small businesses face. His family owned one of the largest automobile dealer groups in the New York area, and his years of experience working in a variety of roles at the business gave him a unique perspective on how small and medium-sized businesses work, a perspective many in the legal profession lack. Mr. Bellavia has pursued some of the largest mass action law suits for hundreds of small businesses against Fortune 500 companies. With his leadership, Bellavia Blatt has amassed an impressive record of winning cases against major franchisors, vendors and government regulators. 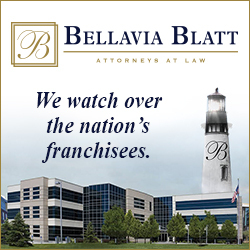 Bellavia Blatt is a nationally-recognized authority in franchise and business law. The firm was founded in 1987 and provides legal counsel and services to small businesses throughout New York State. What separates Bellavia Blatt from other legal practices is our offering of services at an affordable fixed monthly fee (instead of an hourly rate) that will provide you with peace of mind as you operate your business each day. It is the equivalent of having a team of in-house attorneys who are experts in your business available to you when you need them the most. The firm has developed a team of lawyers and support staff dedicated entirely to client satisfaction that has earned them the distinction as being one of the preeminent small & medium sized business rights law firms in the country. Bellavia Blatt has represented franchised businesses and local and national trade associations in matters involving franchise law. We have extensive experience litigating mass action lawsuits against larger adversaries, and we are the firm of choice for franchisees who have disputes with their franchisors. Our firm was the lead counsel in the Chrysler bankruptcy representing the franchised dealers. 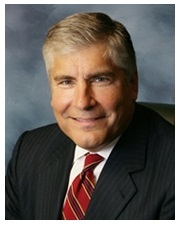 We are also general counsel to numerous state and national franchisee associations including the National Marine Retailers Association, the New York and New Jersey Independent Dealers Associations, the New York State Automobile Dealers Association, and we have litigated cases against Burger King, CARFAX, and various franchisors. Bellavia Blatt advises franchisees throughout the life cycle of their franchise, and offers a host of services to assist with startup, continuing operations, and the purchase and sale of the business.